Good health depends on a healthy diet. But eating healthy doesn’t mean having to forego incredible taste. We asked some of our friends to share their favorite healthy fall treats. The following recipes pack a flavorful punch while substituting healthy alternatives in foods rich in comfort. Personal trainer and wellness coach Melissa Cheney offers this tasty way to start your day. Mix dry ingredients together in a medium size bowl. Add the rest of the ingredients to the bowl and mix until well combined. Heat your griddle to medium heat and grease with oil, nonstick spray or butter. Scoop out pancake batter, pour onto griddle and cook for a couple of minutes on each side. Serve warm with maple butter or syrup. Enjoy! Melissa Cheney is a Certified Wellness Coach, Personal Trainer and CrossFit Level One Trainer. She has a passion for health, fitness and good food made simply. She loves to inspire others, especially new moms to be their best self through her blog, fitnwellmommy.com. Family lifestyle blogger Colleen Sullivan knows one of the best ways to warm up on the inside is with this hearty chili. “When the weather begins too cool I can’t help but look forward to cooking up some of our favorite comfort foods. Our favorites are warm cream stews, pastas and chili’s. But while we loves the taste of these foods, we don’t love what they do to our bodies. That’s why each week I try my best to make healthful adaptations of some of our comfort food favorites. Heat the oven to 400. Break apart the cauliflower and toss with a couple tablespoons of olive oil and sprinkle with kosher salt. Roast on a baking sheet until browned- about 25 minutes. Heat the oil in a large pot over medium high heat. Add chopped onion and sauté for about six minutes, or until the the onion is translucent. Add the garlic and cook for another three minutes. 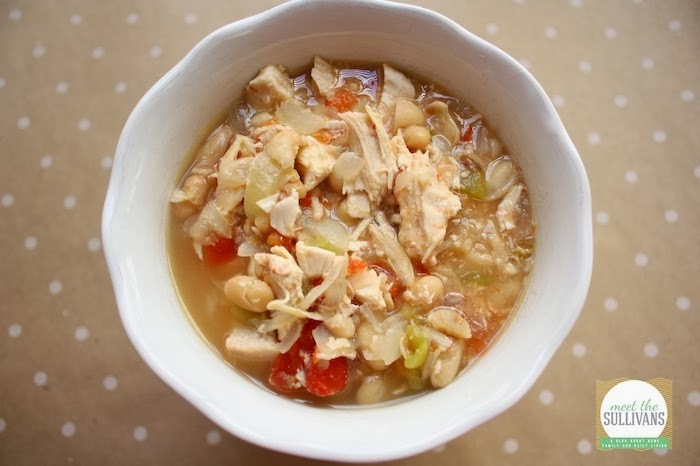 Add the onion / garlic combination to the slow cooker along with the frozen chicken breasts, beans, spices, 1 cup chicken broth, tomatoes and green chilies. Meanwhile, remove the cauliflower from the oven and put in a large bowl. Add a 1/2 cup of chicken broth, and puree with an immersion blender (or put in a blender). Add to the slow cooker and cook on low for 8 hours (or on high for 4-5). When chicken is cooked through remove it from the slow cooker and shred with a fork. Return the chicken to the slow cooker stir in the sour cream and half &amp; half. Serve with cheddar cheese and additional sour cream to top. Colleen Sullivan is a wife, mother and stay-at-home mom. She loves to stay active, cook for her loved ones and write her family lifestyle blog, Meet the Sullivans. Mommy blogger extraordinaire Jindy Garfias knows there are no limits when it comes to this time-tested favorite! The possibilities are endless. ‘I’ve learned 4 important steps to converting a classic grilled cheese into a healthy grilled cheese. ‘No butter. Coating the bread (and the pan) in butter is not necessary. You can lightly brush the pan with extra virgin olive oil if you don’t like the outside of your bread dry. ‘Change the bread. No white bread, no sourdough. I switched to Sara Lee Delightful 100% Wheat bread: 0G of fat, 45 cal per slice, low carb and it tastes great! ‘Carefully choose the cheese. I am a huge fan of Muenster cheese because it tastes fabulous and melts beautifully, however it is very high in fat. After shopping around I was able to find a low fat, pre-sliced version at my local Trader Joe’s. Brush just once side of each slice of bread lightly with your favorite mustard. Place one slice of cheese on each slice of bread on top of the mustard. 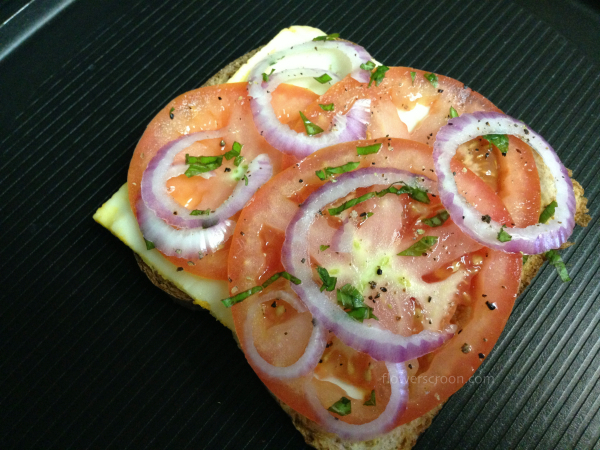 Build the rest of the sandwich on 1 slice of the bread by placing tomatoes, onions, basil. Top with freshly ground pepper to taste. Top with the other slice of bread & cheese. Heat on griddle / pan on med-low heat for about 3 minutes on each side. Keeping the temperature low ensures the cheese fully melts and the flavors blend together without the bread burning. Optional: For a panini effect, brush the pan with extra virgin olive oil and press the sandwich down while cooking by pressing with a heavy object (another pan for example) on top. Jindy Garfias is a modern day super woman who manages to juggle work, motherhood, fitness, great food, and much more. She can be found at FlowersCroon.com, where she writes about cooking, music, Disney, sports, family, fitness and taking the time to smell (or paint) the roses. Nothing is more comforting than a hearty stew, and healthy eating blogger Theresa Schultz knows just the right one for the season. Place all ingredients except cornstarch in a large soup pot and bring to a boil. Reduce heat to simmer and cook uncovered till vegetables are tender, 20 to 25 minutes. Place cornstarch in a glass cup and add a little water to make a paste. Add cornstarch paste to soup and mix to combine. Theresa Schultz believes healthy eating is a lifestyle, and she works to make recipes that look and taste good and are good for you. Theresa has been creating and publishing her recipes since 2002, when she founded the newsletter, “Love a fare”. Today it has evolved into her popular blog, a Love a fare. Follow her there to find out more! Looking for a simple recipe with robust flavor? Lifestyle and recipe blogger Sarah Creighton has just the answer with this one-pan wonder. “Eating tasty, delicious dishes doesn’t mean you have to indulge in all the unhealthy aspects of it. You can adapt any dish to not only taste great, but be good for your body. Making small changes can make a huge difference. For example, replace dairy butter with a plant-based version like Earth Balance, my favorite! Or try replacing white pasta, rice and bread with whole grain or sprouted varieties. Over time you’ll notice a world of difference in your health and the way you feel! In a large saute pan, heat 1 Tb. oil over medium heat. Add gnocchi and cook for 5-7 minutes or until slightly browned and puffed up. Transfer to a bowl and set aside. Add 1 tsp. of oil to the pan along with onions. Cook for 2-3 minutes. Add garlic and vegetable broth (or water), stirring and cooking for an additional 5 minutes or until the onions are soft. Stir in the kale and cook for 2 minutes. Then add in the beans, tomatoes, nutritional yeast, prepared gnocchi, salt and pepper. Cover with a lid and bring to a boil. Then reduce heat to a simmer and cook for 2 minutes. Serve with a fresh green salad. 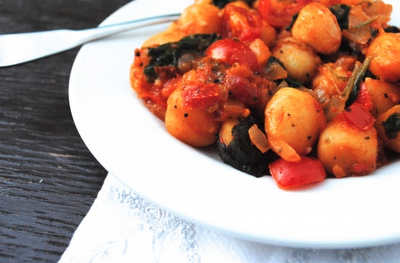 *Look for vegan gnocchi as many contain milk and eggs. Rising Moon sells delicious frozen vegan gnocchi! Sarah Creighton was determined to encourage other parents to help their children develop a healthy relationship with vegetables, so she started Veggie-Kids, a company which includes a recipe & lifestyle blog, cookbooks, children’s books and apparel for kids of all ages. Sarah has become an advocate for raising healthy children and believes that by adding a healthy serving of humor and fun to the kitchen, children will be more willing to try the incredible bounty of what nature has to offer. One enjoyable part of fall is the seasonal foods we can delight from. Food and recipe blogger Angela Pemberton offers this fabulous dish featuring winter squash. 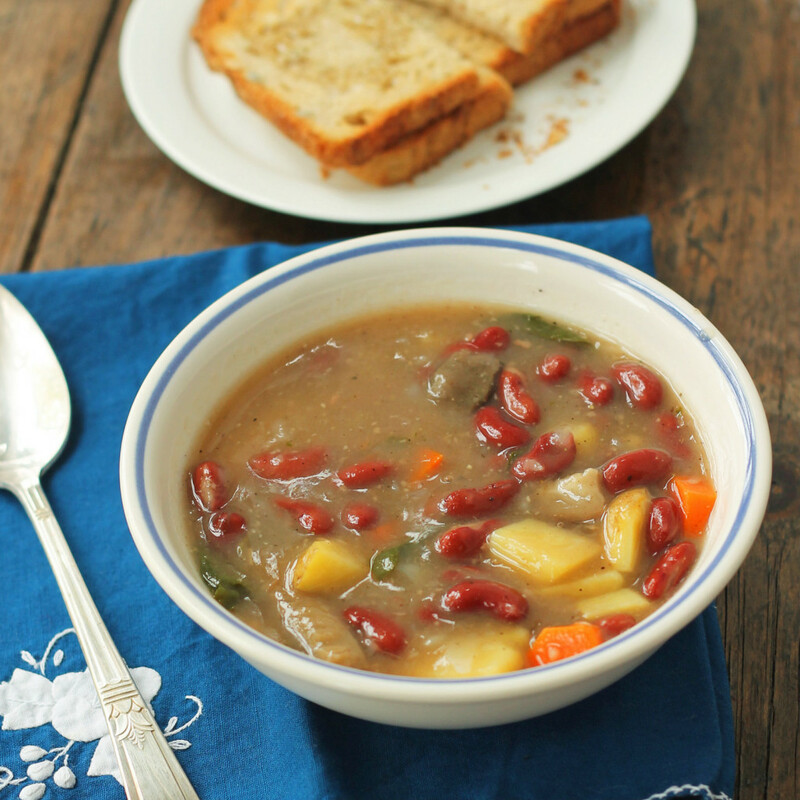 “This is one of my favorite fall dishes. 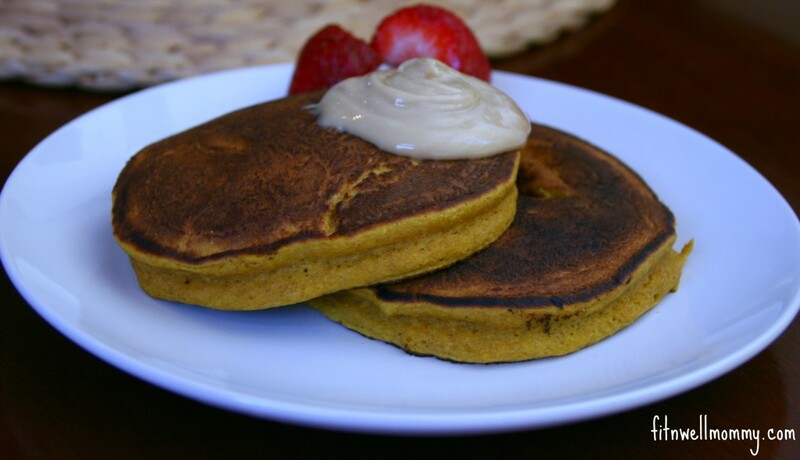 I love the use of butternut squash since it is in season. 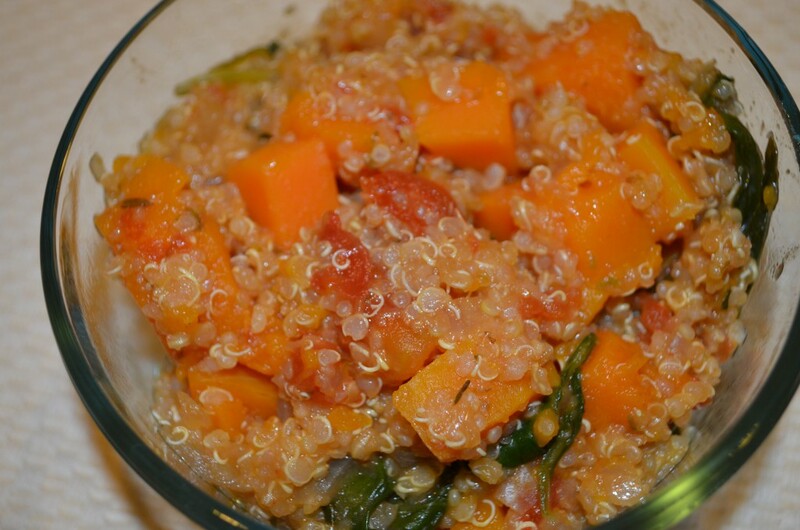 Quinoa is an amazing grain full of protein, it is easy and quick to make and this stew really fills you up!!! In a large pot – I used my dutch oven – heat the olive oil. Add the chopped onions, oregano, and garlic. Saute for until the onion is softened about 5-7 minutes, stirring often. Add the vegetable broth and bring to a boil. Add the diced tomatoes, butternut squash, and quinoa. Simmer for 15 minutes until the squash is tender and quinoa is cooked. Add the salt. Stir in the spinach. Cook 1-2 minutes until the spinach is wilted. Angela Pemberton is a wife, mom, wannabe chef and baker, Pinterest addict, and most importantly, hopes sharing her family meals will inspire others to get in the kitchen and cook for their family! Follow Angela on her blog, Another Bite Please. By eating healthier and exercising more, the lower your health care costs may become. Healthier individuals require less medical services. With a strengthened immune system, you’ll less likely require physician visits and antibiotics. This can result in less out-of-pocket fees and lower premiums. 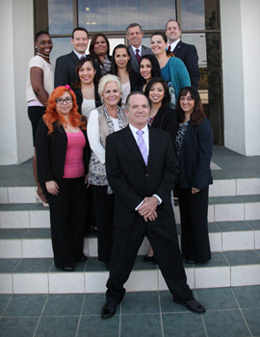 In addition, many health insurance companies now offer incentives to maintain healthy lifestyles. Talk to your insurance provider to discuss how a healthy lifestyle can benefit your pocketbook, in addition to your overall well being.